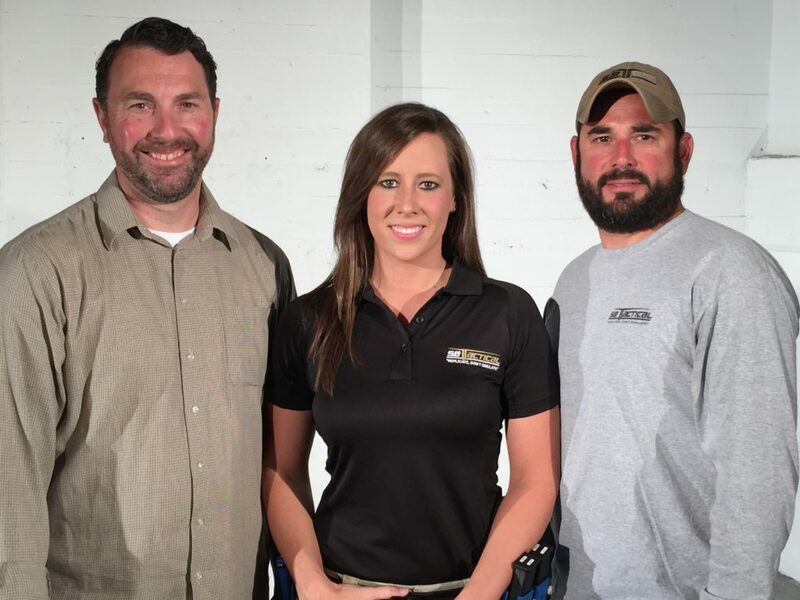 SBTactical teamed up with Kayla Bodron, police officer and avid firearms enthusiast this past weekend to shoot product videos for our new PRO SHOP. Bodron, who has achieved great social media success on her Instagram, @tactikayla, has been a big SBTactical supporter for a while now, and has posted many videos using our iCOMBAT irPistol Pro. We were excited to collaborate with Kayla when launching the iCOMBAT irPistol Pro and SBT Pro Competitor Package for our PRO SHOP. She is someone we knew shared the experience and excitement of our brand. 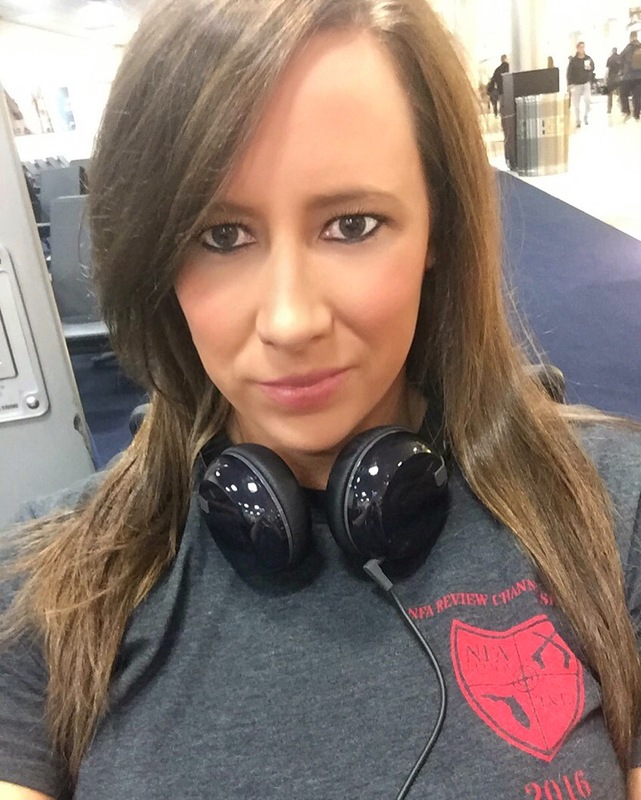 As a police officer, Kayla knows first hand the importance of training and civilian safety. Teaming up with Kayla and Muzzle Flash Media, we were able to get some awesome footage of the iCOMBAT Pro in action. We wanted to share some of the highlights and behind the scenes photos from our first video shoot below. Make sure to stay tuned for the videos to go live on our site! Kayla arrived at LAX on Friday morning. Since she was coming from Georgia it was an extra long day for her but she still managed to get off the plane with a huge smile ready to conquer California. The video shoot was scheduled for Saturday in Los Angeles so we thought we would show her Marina Del Rey and the Venice Beach area. We were able to find a great restaurant at the marina, sharing stories and getting to know each other better over lunch. Kayla shared how she got into shooting and subsequently Instagram. We were surprised to learn that during her time at the police academy she actually failed firearms qualification. She said, “this was the first time I’d ever really failed in my life.” She had a five month gap in time before she could return the next academy class. During those five months she partnered with a shooting coach and mastered pistol marksmanship. Her training became an addiction and the natural next step was competitive shooting. 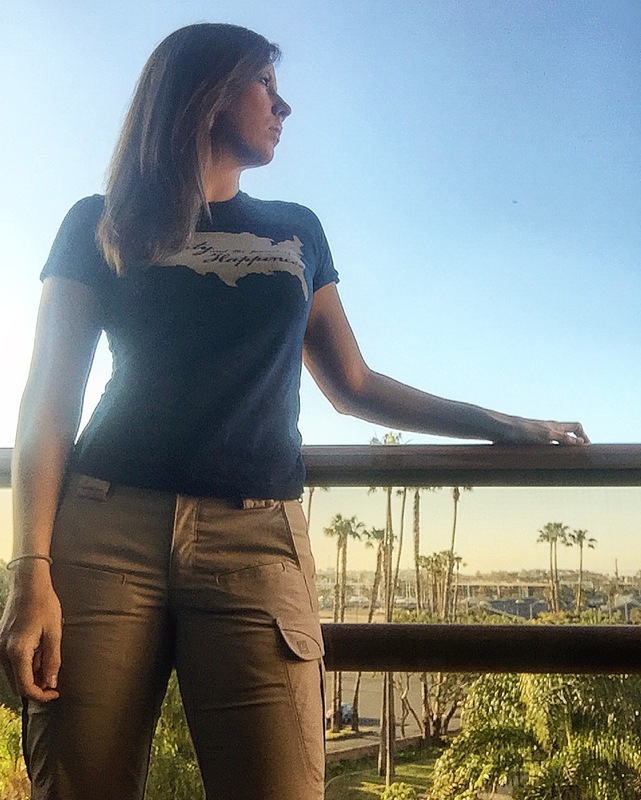 Kayla shoots in at least two United Sates Practical Shooting Association matches per month and in 2015, Kayla earned the title of “Female Top Law Guardian, Glock Sport Shooting Foundation. Her sister Rachel (@RachelBee333) persuaded her to get into social media and it took off from there. Together they shoot recreationally and attend sponsored events throughout the southern states. Since receiving the iCOMBAT irPistol Pro. 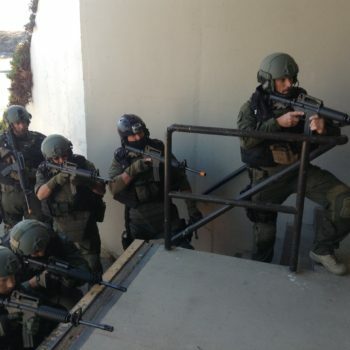 ; we learned that Kayla has made it a part of her regular training regiment. 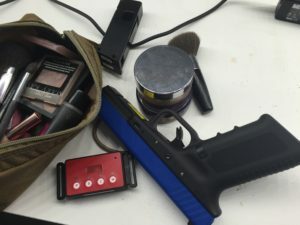 She uses it at least three times per week in recoil management, trigger reset, reloads, and target acquisition. Her split times have improved since working the iCOMBAT irPistol Pro. 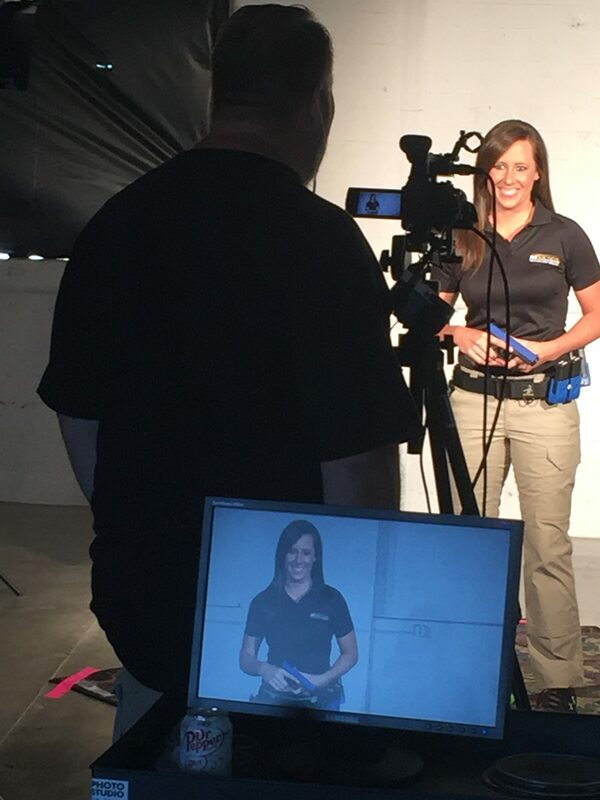 We knew Kayla was just the right person to represent SBTactical and the shoot was a great success. Jeff and Calvin of Muzzle Flash Media are true professionals and were awesome to work with. 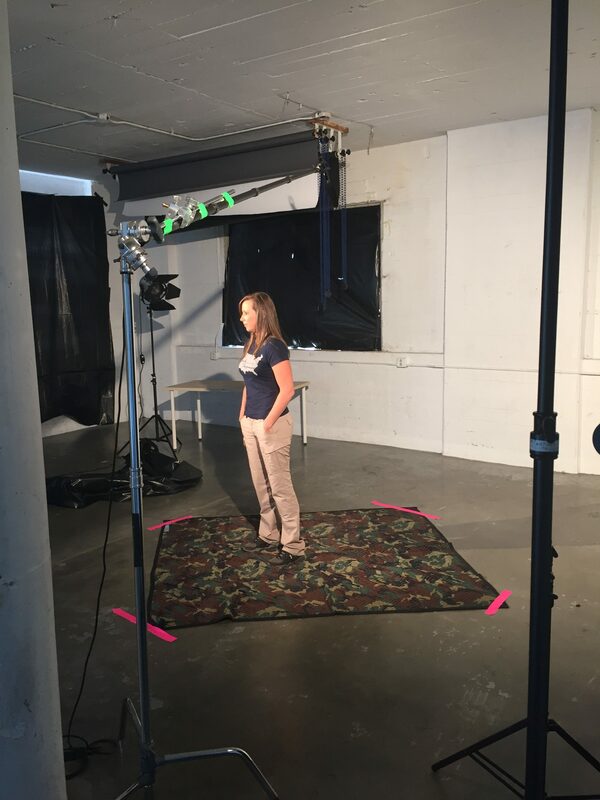 We were also able to collaborate with First Tactical for the shoot, as they provided Kayla’s shirt and pants for the video. The shoot ended up taking around 10 hours altogether and we couldn’t be any happier with the results. We look forward to working with Jeff, Calvin, and Kayla in the near future. Stay tuned for more video- coming soon! Thank you to Kayla Bodron, Muzzle Flash Media and First Tactical for making this all come together.